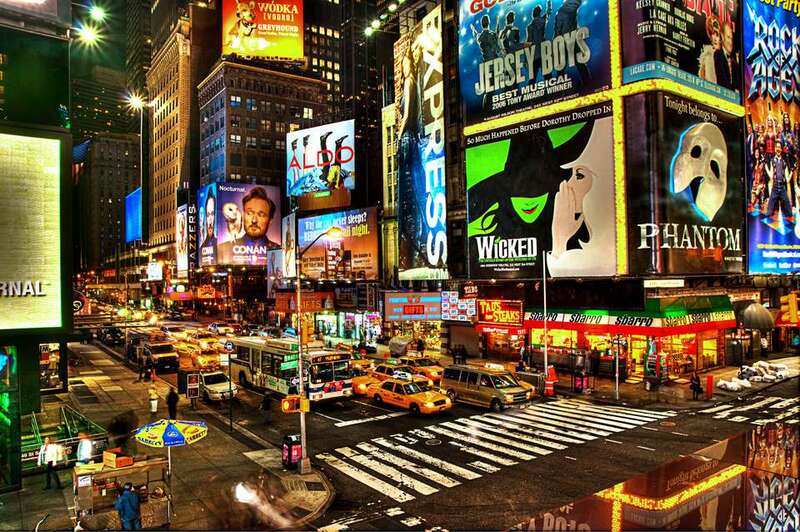 If you're seeing a Broadway Show in New York City, you may be wondering where to eat before (or after) the show. These recommendations all offer delicious meals a short walk from Broadway theaters and many offer prix-fixe menus, promising both a transparent price-tag and a timely arrival at the theater. We highly recommend making reservations if you want to dine before your show. Depending on how leisurely a meal you like, make a reservation approximately 2 hours before your show time. If you're going to a show at 8 p.m., a 6 p.m. reservation will allow you to enjoy your meal and still get to the theater before the show starts. Toloache serves contemporary Mexican cuisine just a short walk from many Broadway theaters. Their food is fresh and flavorful, with options that will satisfy a variety of tastes, including many interesting ingredients, such as dried grasshoppers and huitlacoche. Tacos and quesadillas are sized for lighter dining, while platos fuertes are more substantial. Lunch is served Monday through Friday, brunch is served on Saturday and Sunday and dinner is served daily. They also have a separate vegetarian menu available. Sushi of Gari has expanded from their original Upper East Side location, giving Theater goers the perfect opportunity to enjoy this destination-worthy restaurant. If you truly want to experience what makes Sushi of Gari special, sit at the sushi counter and splurge on an omakase meal. Otherwise, to get a taste of what makes their sushi different, try their "special" sushi ($49), which features some of the signature sauces. Danji is very popular and doesn't take reservations for groups smaller than 6, so you'll have to arrive early and be prepared to wait if you want to dine before your show. That said, their small plates of Korean cuisine (both traditional and modern interpretations) are outstanding. Garlic honey wings and bulgogi beef sliders were standouts when dining there recently. Fresh, creative American cuisine, including a raw bar, is the focus of this stylish theater district restaurant. Fans of Osteria al Doge appreciate the high-quality cuisine served up at moderate prices at this theater district restaurant. The menu features a variety of pizzas, pasta, and main courses that will satisfy those seeking Italian cuisine. The only downside of pre-theater dining at Lattanzi is missing out on the outstanding Jewish-Roman menu that's only available after 8 p.m. once the theater-goers have left. Plates of pasta, grilled meats, fried artichokes, and the housemade napoleon are all highly recommended. Classic Italian cuisine is served with rustic flair at Trattoria Trecolori and you might end up leaving surprised at how affordable it is. Pasta (particularly black linguini) and housemade desserts (including tiramisu) are especially delicious.